Hot tub safely so everyone has a great time. The recommended maximum safe water temperature for adults is 104° F. This is because body heat can rise to hazardous levels if you soak too long in high temperature water. Keep your safe soaking to 15 minutes or less. If you have heart disease, arthritis, diabetes, high or low blood pressure, or a serious illness, please consult your doctor before soaking. Be safe and save that glass of wine after your soak. Hot water increases the effects of alcohol and some drugs. Please consult with your doctor if you are taking prescription drugs as some cause drowsiness which can be dangerous in the hot tub. We recommend a cool, sparkling mineral water while you soak. As with all water sports, never, ever leave children unattended. They can drown in any kind of water, even shallow water. 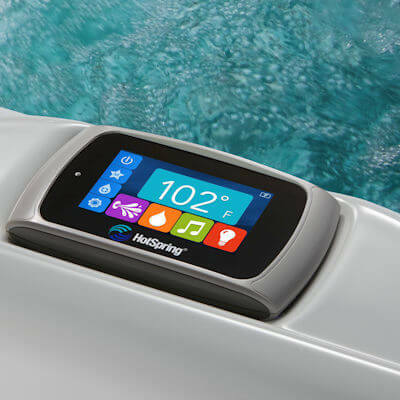 Keep children’s soaking to under 10 minutes and their water temperature around 95° F. Infants should only enter a hot tub with a physician’s approval. 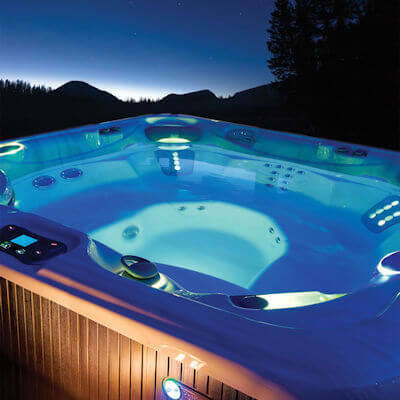 You can prevent accidental drowning by leaving your hot tub cover on when the spa is unsupervised. Keep areas around the spa safe, too. Add anti-skid treads for steps and rubber mats to prevent slips and falls around the hot tub.